Unlike most of the other advent stories I’ve read this year, The Last Birthday isn’t really a Christmas romance. I still think it qualifies as a holiday romance because it centers around a major Japanese holiday that occurs right before Christmas – the Emperor’s birthday. Mere Rain uses the holiday to show the bond between the two young men as they bar hop around Tokyo to celebrate Akihito’s birthday. Because it’s the last year the day will be a national holiday, the two decide to make a day of it and get well beyond wasted. And thanks to all that liquid courage, Akihito finally confesses his feelings for his best friend. I enjoyed the tiny bit of sightseeing Rain treated readers to and appreciated how Akihito and Kenji revisited some places out of nostalgia, which allowed readers to see the history between the two via childhood memories. The confession scene was quite touching because of Akihito’s fears and the manner in which he reveals his feelings for Kenji because of those fears. What I really liked was Kenji’s declaration on the train because while I suspected he would reciprocate Akihito’s feelings – it is a romance, after all – I didn’t expect him to say what he did based on the conversations about his family. Despite their years of history, The Last Birthday Party is a tale full of hope as Akihito and Kenji embark upon the next stage in their lives. 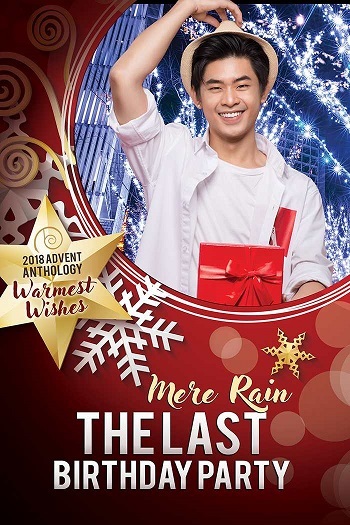 Reviewers on the Wicked Reads Review Team were provided a free copy of Warmest Wishes: The Last Birthday Party by Mere Rain to read and review.